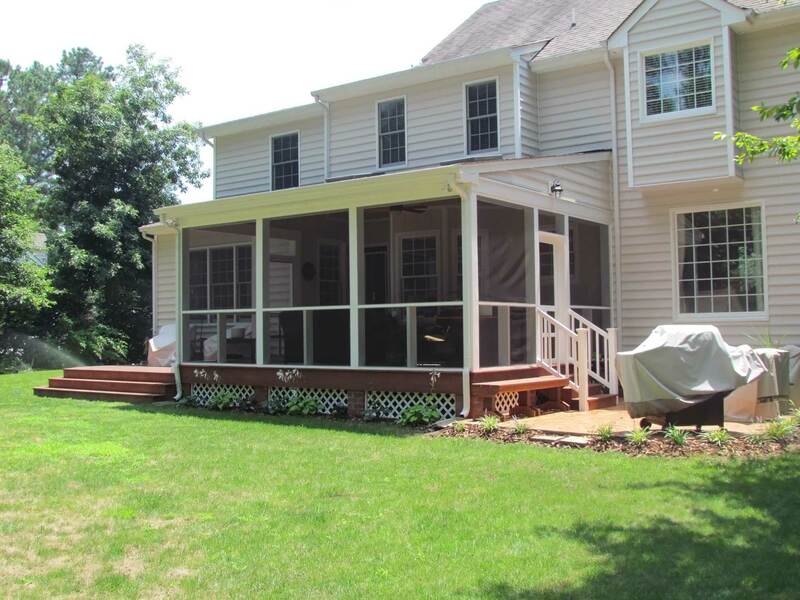 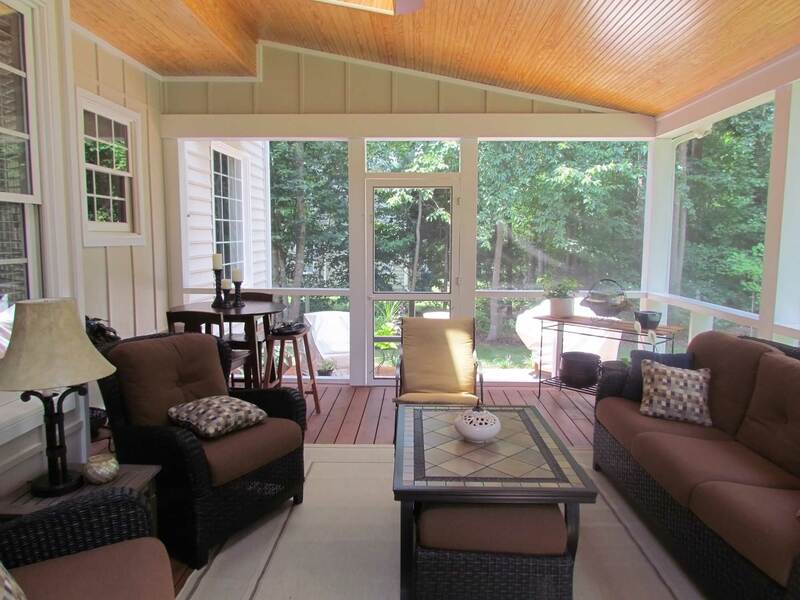 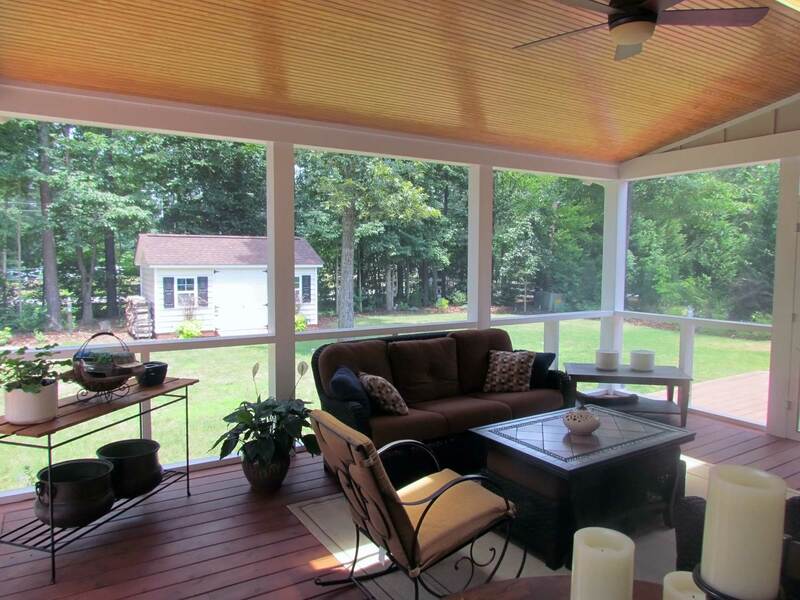 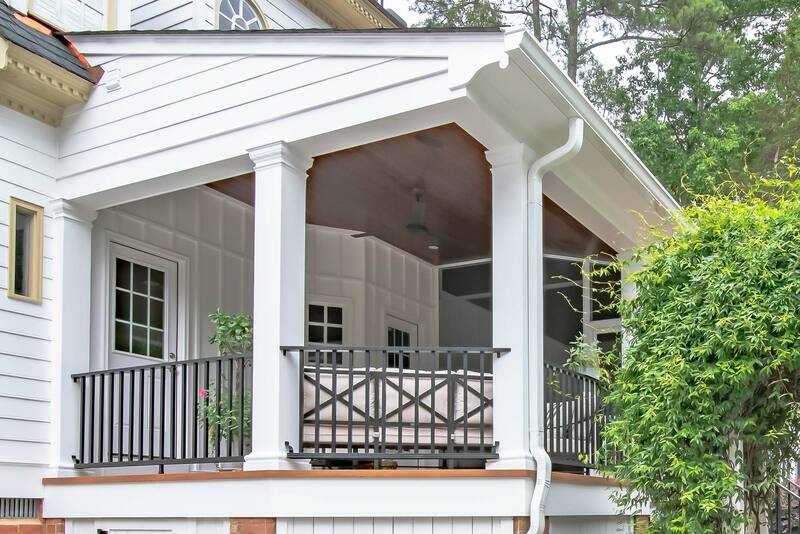 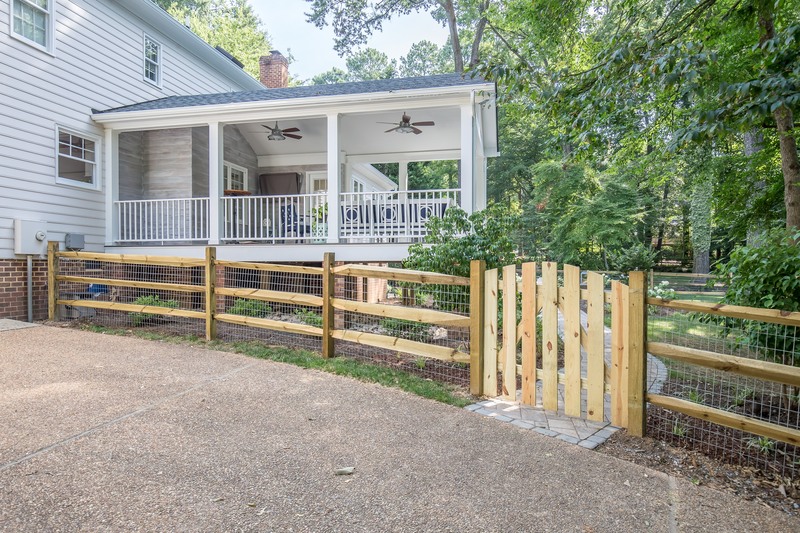 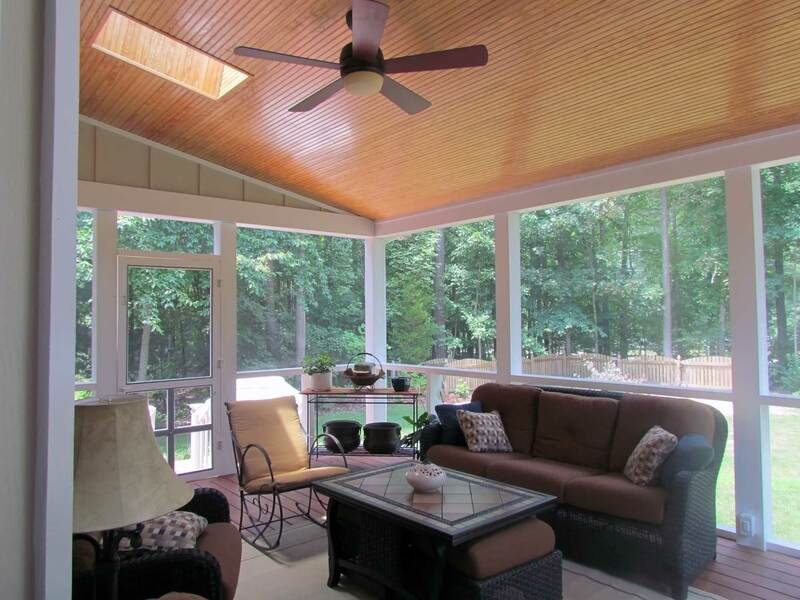 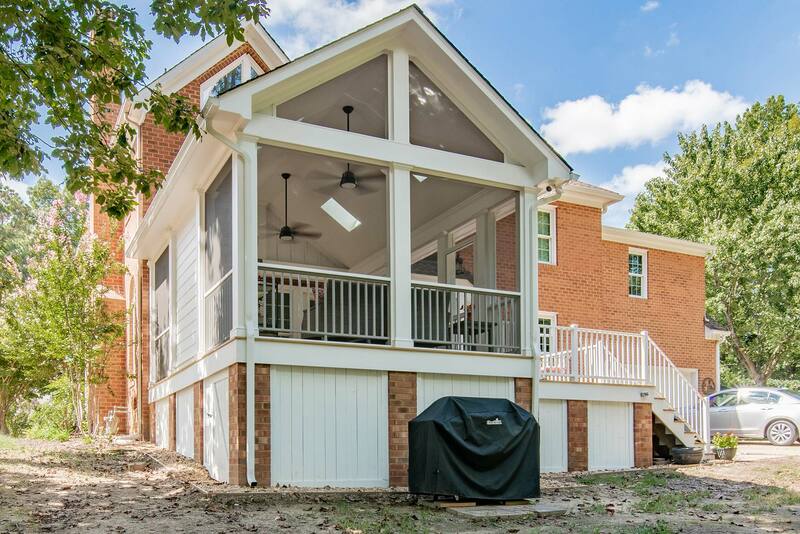 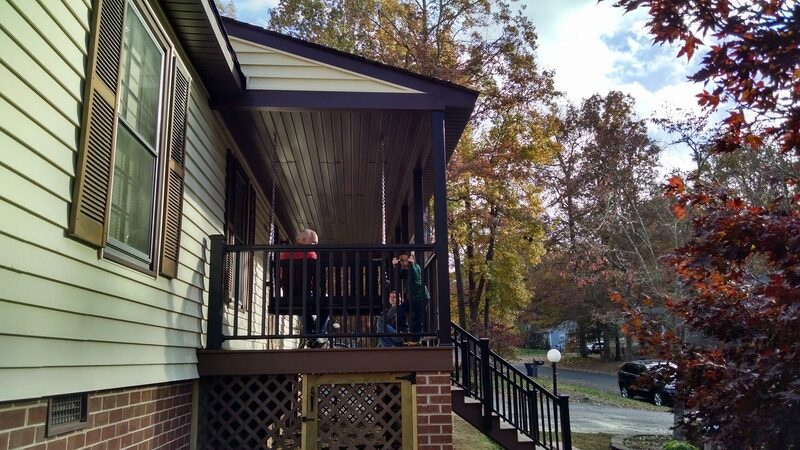 This is a Screened Porch with an attached deck and concrete stamped patio built for a homeowner in the Fox Croft sub-division. 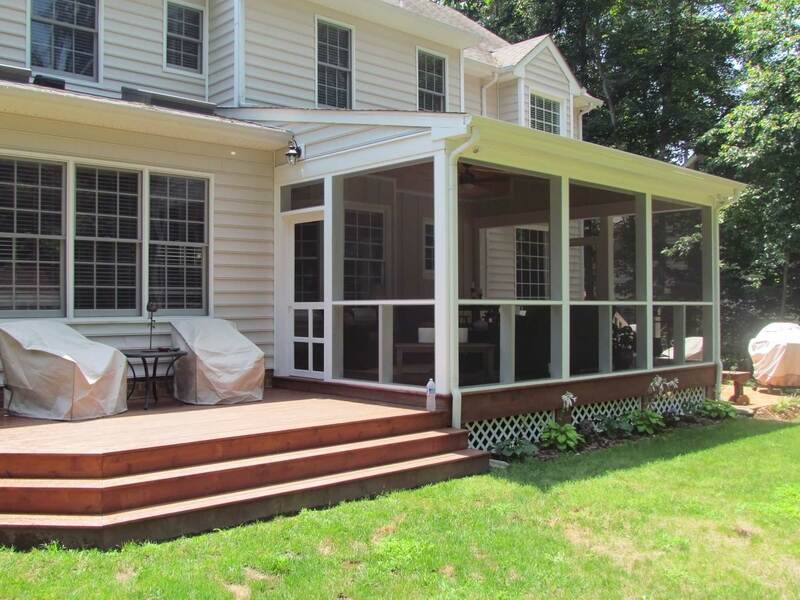 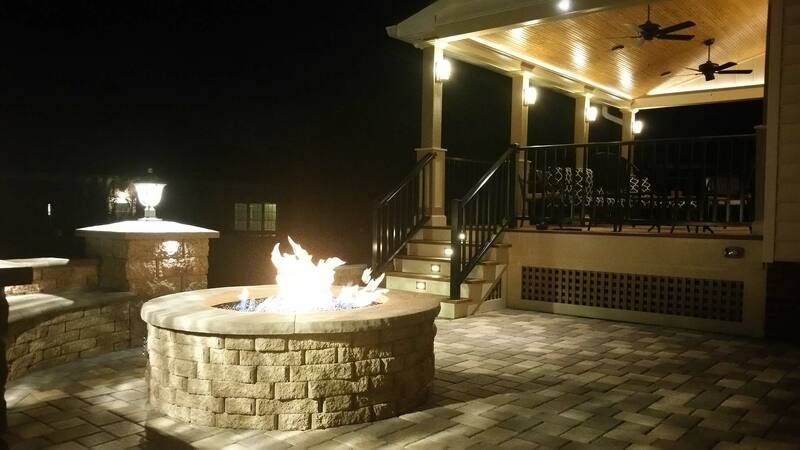 Features red cedar decking and colored stamped concrete sealed with polyurethane for a long lasting finish. 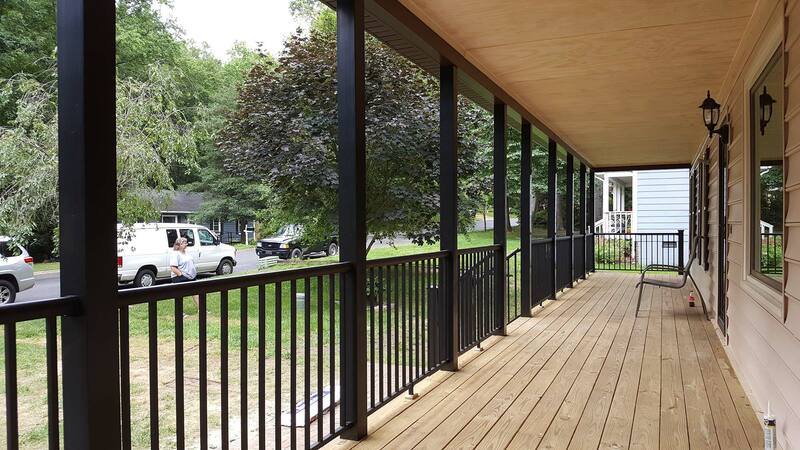 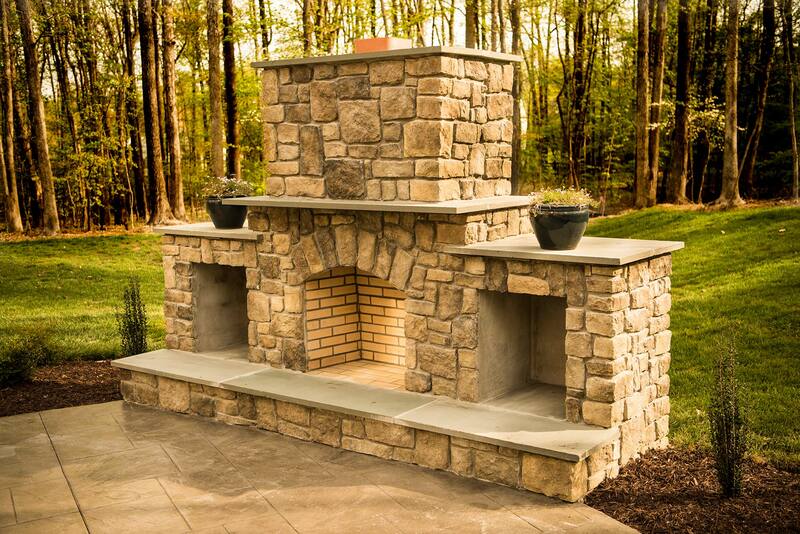 We also used the Sheerline screen system on the columns which gives the owner a clean look without much maintenance. 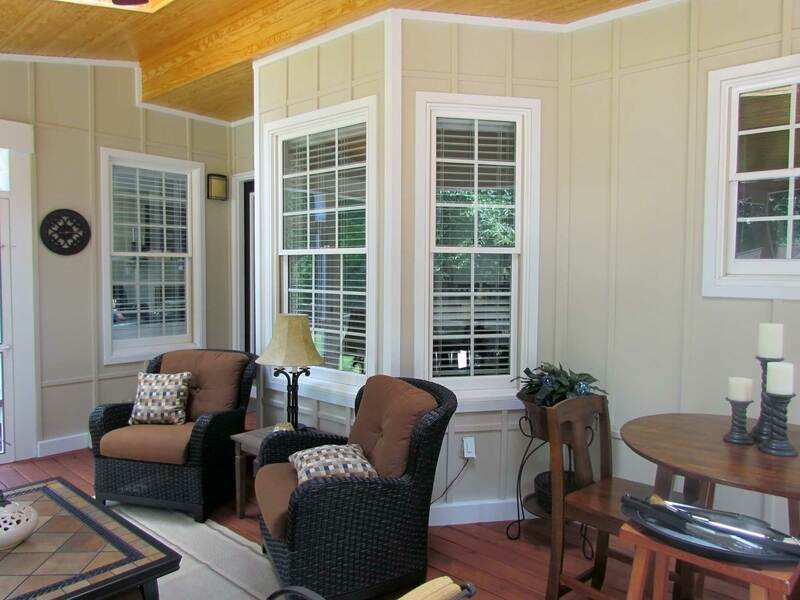 Inside we used clear yellow pine, tongue and groove ceiling for a more elegant look. 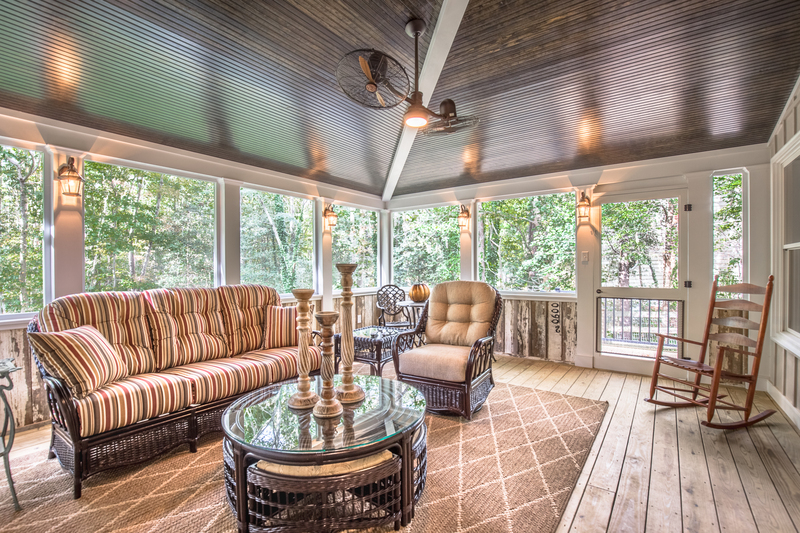 Two skylights also allow more light in the porch.